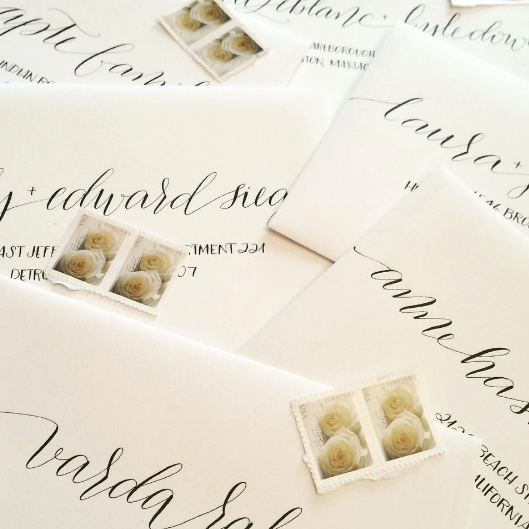 A beautifully addressed envelope sets the tone for the rest of your guests' experience of your wedding day. A Chaney Studio offers a wide variety of styles and choices for your envelopes, and we specialize in font matching, so if you don't see the style you like on our styles page, let us know and we will do our best to match your preference. Take a look at our styles and prices and get in touch with us to get started.